Used HPM 900 Ton Horizontal Cold Chamber Aluminum High Pressure Die Casting Machine. Inventory item: DCM-4205. 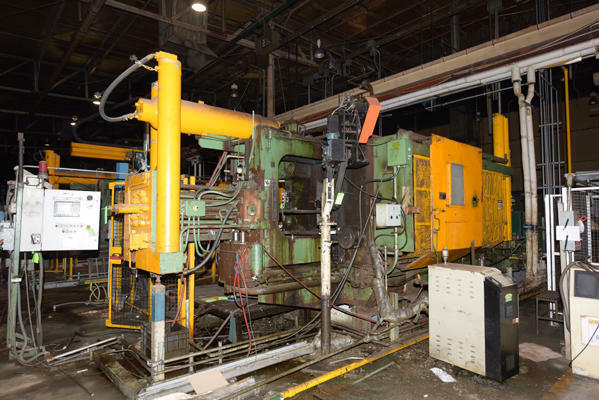 Machine includes: Metal Mechanics 40 ton trim press, ABB 4400 Six Axis Robot for Extracting Castings, Rimrock auto-ladle, Rimrock reciprocator die sprayer.